Some cryptocurrencies don’t believe in marketing gimmicks, and Qtum cryptocurrency is one of them. For the uninitiated, Qtum is also known as the ‘Ethereum Killer‘. And, it can be one, because the way the team has implemented Qtum, it has changed the whole game. QTUM is an open-source blockchain and cryptocurrency developed/maintained by the QTUM foundation. It is also a decentralized Blockchain application platform, capable of running smart contracts on multiple virtual machines, with Proof-of-Stake consensus. Here in Qtum, they have separated the computational layer from the transaction layer so that it is simpler to upgrade the blockchain in the future. Since its launch, Qtum has risen steadily as its innovative approach has spread just by ‘word of mouth’. I have already covered Qtum in detail in the past, so I will not get into it again, but I will leave you with a valuable link for your reference. However, one thing I haven’t discussed yet is, how to buy Qtum; and that’s what we are going to talk about today. Qtum now sits in the top 20 cryptocurrencies of CMC, and given its popularity, it is not that difficult to buy Qtum as many crypto services are selling it. But before discussing those services I feel it is important to know all the avenues as to how one can buy Qtum. Buy Qtum in exchange for other cryptocurrencies like ETH/BTC etc. 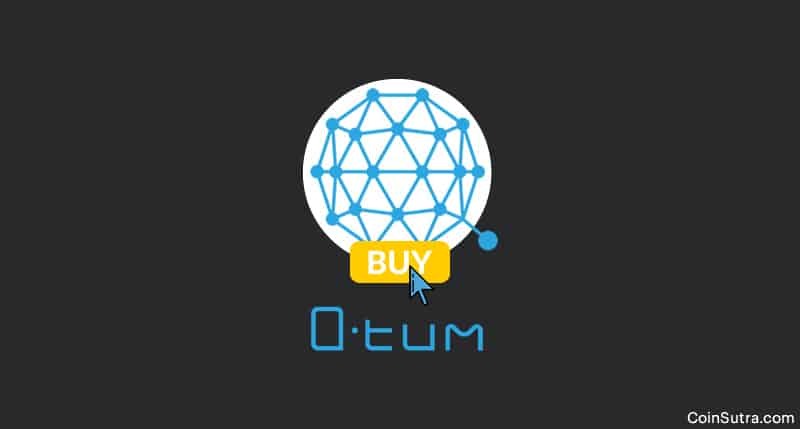 Buying Qtum, like other popular cryptocurrencies, is quite easy using your fiat money but very few services support this facility. Therefore, you need to find out centralized service that allows you to buy Qtum in exchange for USD, EUR etc. These exchanges provide you fiat linked crypto wallets in which you can deposit fiat currencies and buy Qtum in exchange for it. And some services allow you to directly purchase from your fiat linked debit/credit cards. Changelly: Supports all currencies and can buy Qtum through credit/debit cards. Check out their official guide on the same. #2. Buy Qtum in exchange for other cryptocurrencies like ETH/BTC etc. Another easy way of getting hold of your Qtum cryptocurrency is through centralized exchanges that deal with a variety of cryptocurrencies including ETH/BTC. ETH and BTC are the most prominent cryptocurrency pairs against which you can buy almost all the other cryptocurrencies, and Qtum is no exception. Through these exchanges, you can exchange one cryptocurrency for another crypto for a marginal trading fee. Similarly, if you have ETH, BTC, LTC or USDT, you can exchange these for your Qtum cryptocurrency. Below is a list of established cryptocurrency exchanges where you can exchange other cryptos for Qtum cryptocurrency. If you remember we spoke of peer-to-peer resources such as LocalBitcoins and other crypto ATMs through which one can buy currencies like BTC or ETH. Sadly, we don’t have such peer-to-peer services for Qtum, but that doesn’t mean that one cannot deal in peer-to-peer fashion if you find buyers and sellers. However, in the absence of peer-to-peer services, it becomes tough to find legit individuals who are interested in buying/selling the Qtum cryptocurrency. And lastly, one needs to be at guard from scammer because finding peers and dealing with them without a proper escrowed service can be risky. So you see there are so many avenues and ways through which one can buy Qtum cryptocurrency easily weather in fiat or crypto. But we highly recommend you do not use these services or exchange as your Qtum wallet because centralized exchanges are also prone to hacks. Also, you never know, keeping a crypto safe for a longer term might make you a crypto millionaire someday. That’s why you should only keep Qtum in, trusted, verified and self-hosted wallets. If you don’t know of any such wallet, this guide on Qtum wallets will help you: Trouble Finding Qtum Wallets? We’ve Found The Best For You. Now it’s your turn: Where do you keep your Qtum? Which method have you used to buy Qtum from the above list? Did I miss any other ways to buy Qtum? Let me hear your thoughts in the comments below! Do share this post with your friends & family if you find it informative.